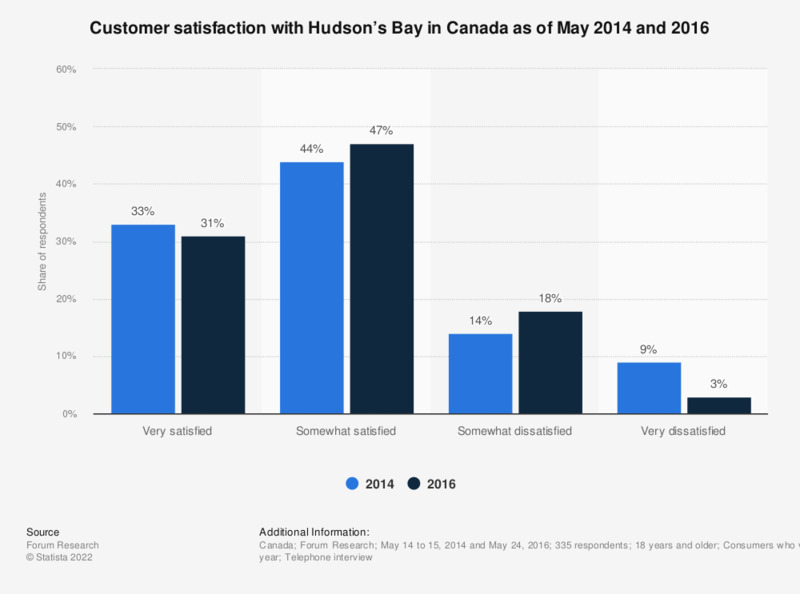 This statistic shows the customer satisfaction with Hudson's Bay in Canada as of May 2014 and 2016. During the survey, 33 percent of the respondents said they were very satisfied with their overall shopping experience at Hudson's Bay in 2014, decreasing to 31 percent in 2016. Everything On "Hudson's Bay Company" in One Document: Edited and Divided into Handy Chapters. Including Detailed References. Statistics on "Hudson's Bay Company"